The Amethyst project is the result of a wish to apply today's engine management technology to classic cars. Many thousands of older cars are still in regular use, and bring great pleasure to their owners. Our aim was to improve their efficiency and emissions as far as we could at reasonable cost and without losing the essential character of the car. 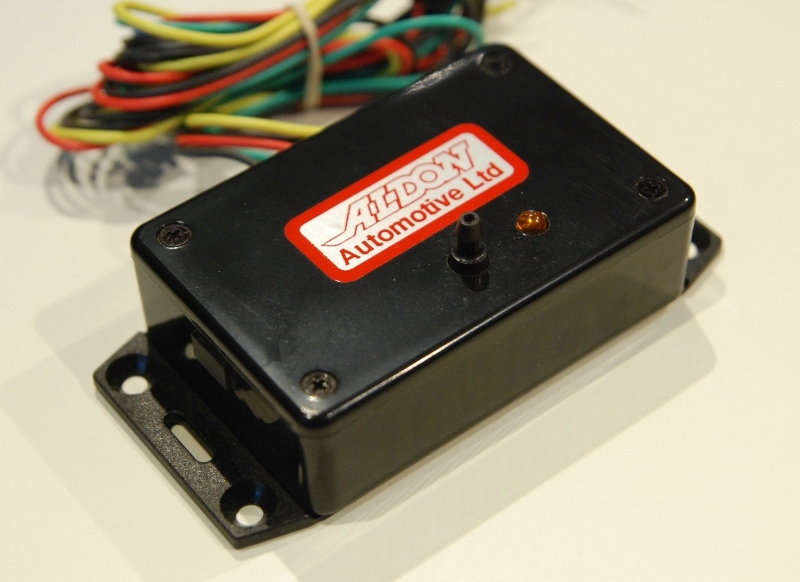 Amethyst is a small, discreet unit which can be mounted in the engine compartment. Wires go to the distributor, the coil and an optional immobiliser switch. The unit includes a vacuum sensor, which can be connected directly to the existing pipe from the inlet manifold. As with any modern engine, a microprocessor uses a look-up table to determine the correct ignition advance for any combination of RPM and load. 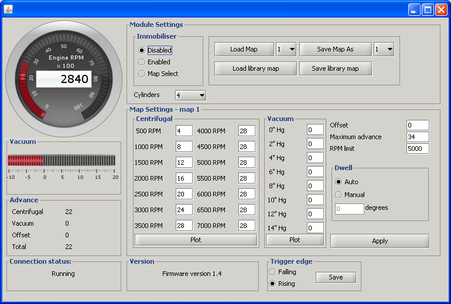 Dwell is calculated automatically, and the unit includes a "soft" rev limiter. 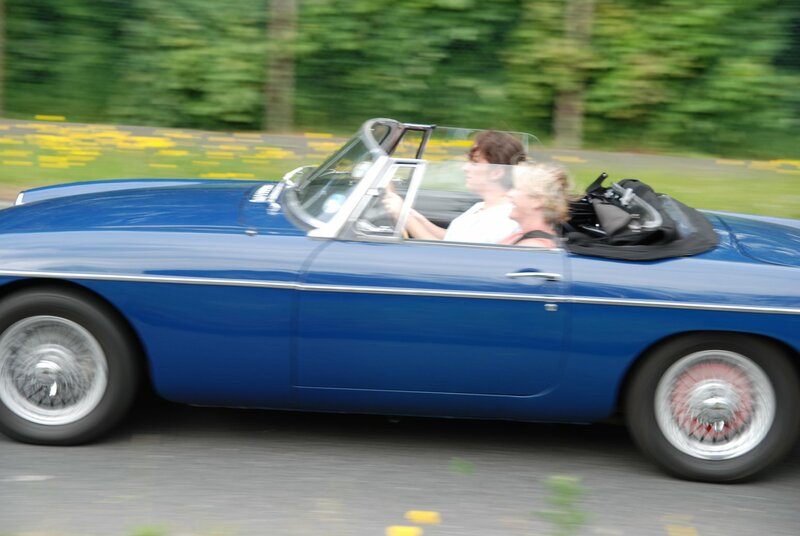 Our 1967 MGB has covered over 30,000 miles since we bought it six years ago, mostly with an Amethyst unit fitted. Five years after the first Amethyst road tests, the unit is in full production and is available exclusively from Aldon Automotive Ltd. The traditionalAmethyst was recently reviewed by mgb-stuff.org.uk. You can read about their experiences here.